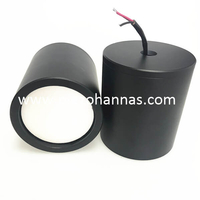 The ultrasonic receiver is composed of an ultrasonic transducer and a receiving circuit. In order to achieve a wide range of ultrasonic ranging, it is required not only that the ultrasonic receiving circuit can amplify the weak signal reflected from the distant target, but also that the strong signal reflected from the close target is amplified and not deformed, which requires reception. The circuit has an automatic gain control (AGC) function. In addition, the addition of the AGC function in the receiving circuit helps to overcome the "reverberation" phenomenon and improve the signal-to-noise ratio of the ultrasonic ranging system. 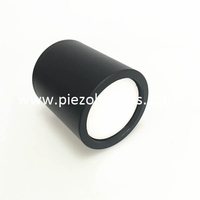 Therefore, according to the attenuation characteristics of the ultrasonic signal, the time-gain control ((TGC) is realized by the automatic gain control principle, so that the ultrasonic receiving circuit has high gain without deep saturation phenomenon. This section also designed a low-noise amplifier circuit and a band-pass filter, which greatly improved the signal-to-noise ratio of the receiver circuit. The ultrasonic distance sensor is directly superimposed on the wall (target) at 2.5 m, and the output signal of the transducer is directly observed with a skin detector, and the voltage amplitude is 1V. As the target increases, the amplitude of the echo signal drops sharply by lx. If the range of the ultrasonic sensor is 35m, the ultrasonic receiving circuit must have a sufficiently large gain to be sensitive to extremely weak echo signals. At the same time, it is required that the echo signals generated by the close targets are not amplified. Deep saturation occurs. Therefore, the gain G of the front-end amplifier cannot be made too large. For combined transducers, it is consisting of a routed high-impedance operational amplifier should be added to amplify the echo signals received by the long range ultrasonic distance sensor. Because the output signal of the adder is small, the gain control circuit is directly added to the output signal of the band pass filter. Therefore, the final stage amplifying circuit in the ultrasonic receiving circuit should be changed to the connecting mode. 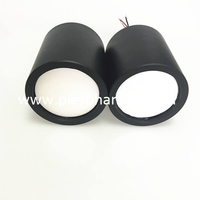 It has been previously stated that for large range distance ultrasonic sensors, the dynamic echo signal of ultrasonic distance measuring transducer is particularly large. Therefore, it is necessary to add an automatic gain control function to a receiving circuit with high gain to compress a strong signal at a certain level in order to simultaneously satisfy the following two requirements: the ultrasonic receiver has extremely high sensitivity while being in its range .There is no saturation or reverberation inside. (1) Automatic gain control is an equivalent circuit of ultrasonic transducer sensor that implements AGC is using an interstage attenuation method. v is the output signal of the front-end amplifier, R is the input impedance of the post-amplifier, and v is the input voltage of the post-amplifier, that is, the output voltage after the signal source is attenuated between stages, and Z is a variable resistance. 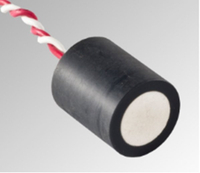 Control element R is a fixed interstage attenuation resistor. Here the interstage attenuation refers to the partial pressure attenuation of the resistors R and Z. Now suppose that the amplitude of V gradually decreases large, and when it is the maximum value Vmax, Z is the minimum value and the interstage attenuation circuit.